This program provides students with a basic overview of the Cardiac system, Medical disease process, Terminology. Students will learn how to operate a 12 lead EKG machine and interpret the readings including identification of signs of advanced heart diseases and also the interpretation of all arrhythmias. 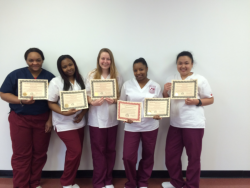 Upon successful completion of the program, students will receive a completion certificate by the school and will be able to take the EKG Technician exam by the National Health Career Association.